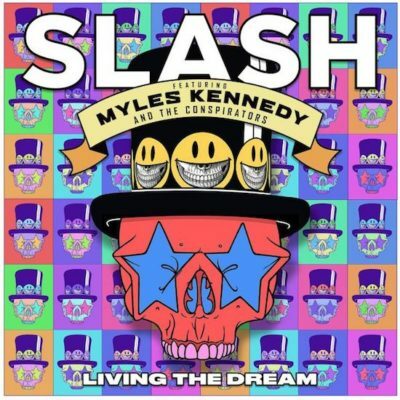 Slash and his band, Slash Ft. Myles Kennedy And The Conspirators, will perform their new single Driving Rain this Wednesday, September 12 on Jimmy Kimmel Live!. Tune-in tomorrow night (Sept. 12th) to watch the episode airing at 11:35PM (ET/PT)/10:35PM (CT) on ABC TV. Watch the video below. Listen to the previously song, Mind Your Manners, here. Living The Dream–due out September 21th through Slash’s Snakepit Records (a partnership w/Roadrunner Records)–is the new full-length offering from the group which, in addition to Slash and singer Myles Kennedy, also includes bassist Todd Kerns, drummer Brent Fitz and, making his recorded debut after several years of live work with The Conspirators, rhythm guitarist Frank Sidoris. Slash and his band re-teamed with producer Michael “Elvis” Baskette (Alter Bridge, Iggy Pop, Incubus) for their third album resulting in the band’s strongest collective statement to date following World on Fire and 2012’s Apocalyptic Love. From the barnstorming, high-octane riffery of opener Call of the Wild to the wah-drenched funk rock of Read Between the Lines, the haunting majesty of Lost Inside the Girl to the swaggering deep-in-the-pocket Seventies grooves of Serve You Right, to the stately, quasi-classical melodic themes of The Great Pretender, Living The Dream packs a compendium of sounds and styles into 12 tightly arranged and sharply executed tracks, all of it shot through with Slash’s trademark electrifying and dynamic riffing and high-wire, lyrical solos. On Thursday, September 13th, Slash Ft. Myles Kennedy And The Conspirators will begin their North American headlining tour at The Whisky in Los Angeles and will visit 20 major cities including New York, Denver, Philadelphia, Boston, Washington, DC (Silver Spring, MD), Chicago (New Buffalo, MI), Dallas (Thackerville, OK), Austin, Houston, and more before ending October 16 back in Los Angeles. 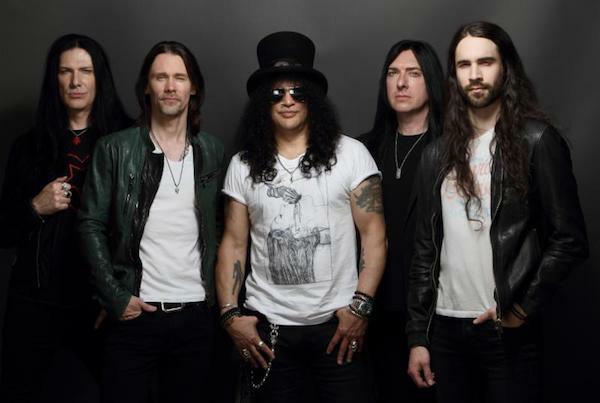 In early 2019, the group will launch a European Tour in February and March before returning to the U.S. All tickets for the fall and winter SMKC tour are available at slashonline.com. I don’t like Jimmy Kimmel, and I don’t like ABC, so I’ll pass. Tomorrow night I’ll be Heading Out To The Highway Star in Jacksonville to see Purple Priest! 😉 Cheers!! Hopefully, they “Deliver The Goods”….Enjoy!